When was the last time that you visited a fairytale? When did you feel joy, awe and surprise just like a child? We are an original theater group “Divertimento”. 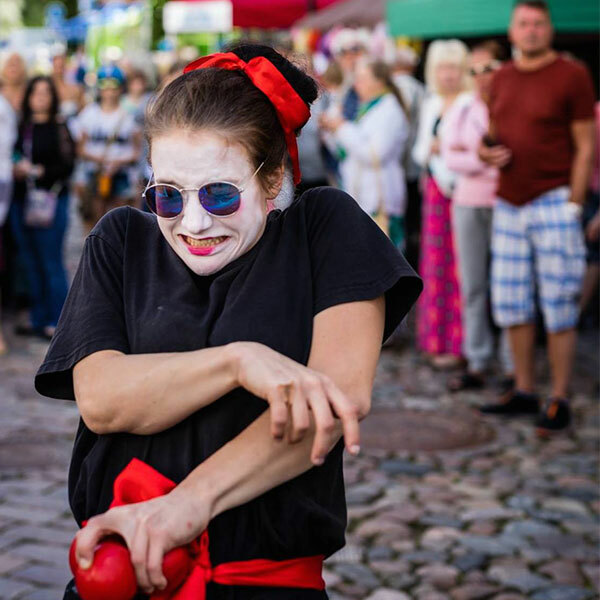 The actors are professional jugglers, dancers, acrobats who have performed on the smaller and larger squares around Estonia and the world. There is much to see for adults and children alike who will all become participants in this magical show. Come see the show! Kayo is one of the most enigmatic illusionists in his field, he travels around the world doing his fascinating performances of levitation, telekinesis, fire and mentalism that you have never seen before. Kayo is one of the very rare magicians who can levitate objects in broad daylight, such skill has led him to participate in major festivals around the world. Based in London, Kayo is currently developing a secret act to be presented soon on a famous British TV show. After all, mystery is one the most beautiful sensations. 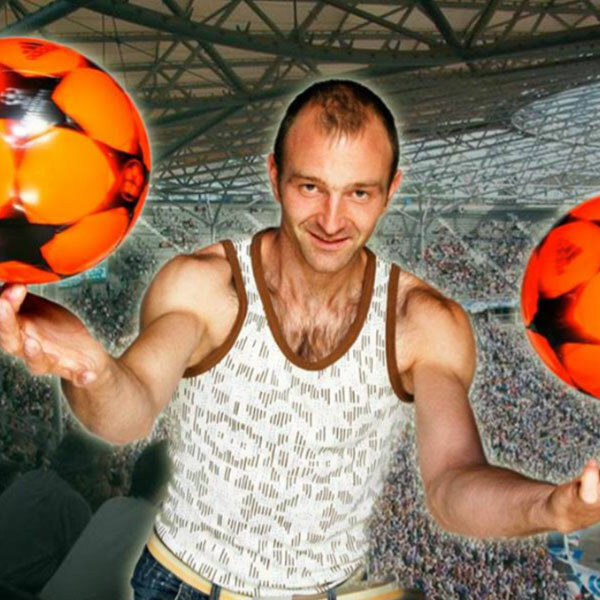 Marco Bonisimo, football juggler and performer from the Netherlands. What goes up, must come down. A tragedy for normal people, but a big pleasure for this juggler. Even catching his drops with comedy. Check this interactive feelgood comedy show with some serious skill for all ages. 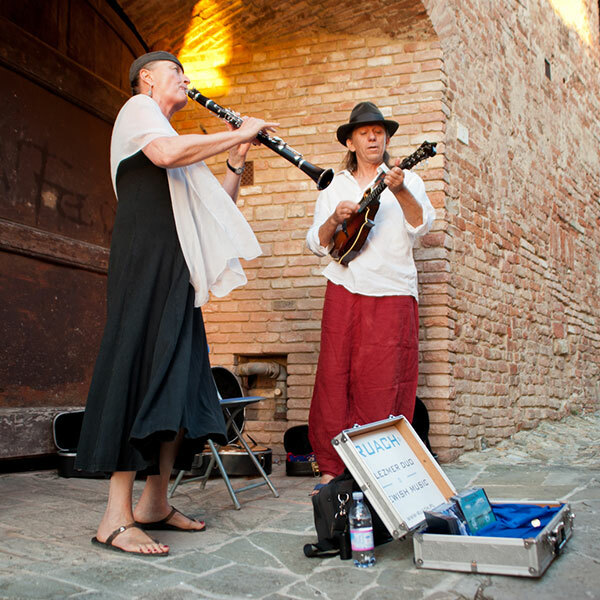 The Polish-Jewish Duo RUACH is made up of Dorothea and Boguslaw Hegeduess who dedicated their love and lives to the traditional Jewish music. Dorothea squeezes the most sweet tones of her clarinet and Boguslaw with his amazing rhythms and chords on his guitar and mandolin recreates the musical identity of the ‘Old World’. 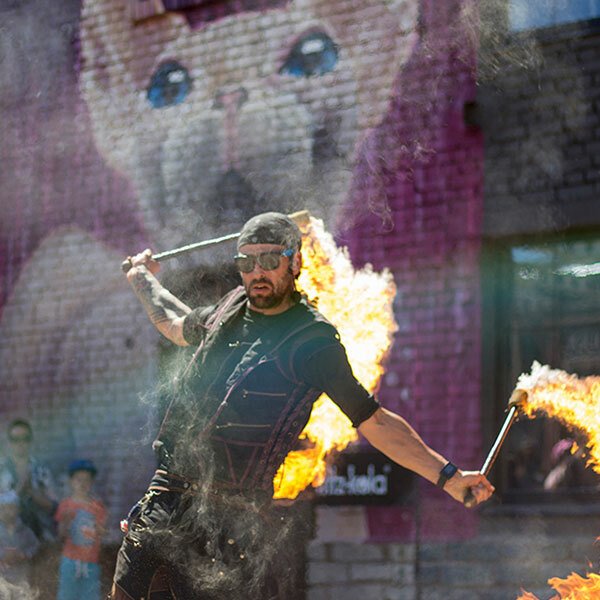 The Blazed Up Fire Show is loaded with high energy, fire and explosions. 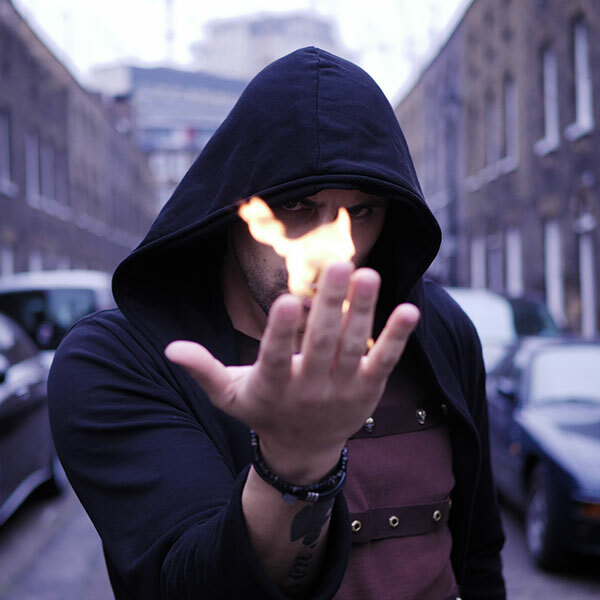 Besides creating unbelievable effects and putting the audience on the edge of their “seats” with his fire eating set and big explosions, he also engages the audience in a charming, clever and entertaining way. 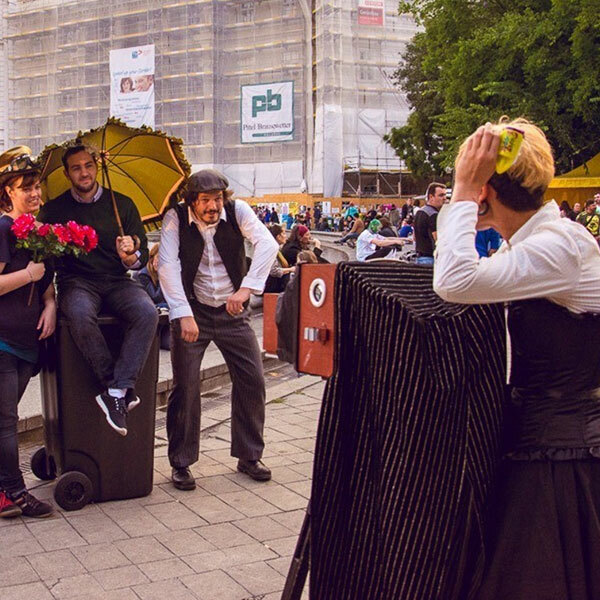 “Desperate Housewife” is a contemporary streetshow that tells a story of a housewife’s worries and despair. The hero of the story, a regular housewife tries to do everything to please her husband and kids – cooks, cleans, knits and meanwhile manages to hold a smile! Inside she is boiling of despair and tiredness. Suddenly the housewife breaks, finds her true passion and decides to leave the broom in the corner. The housewife turns into a fabulous circus artists who makes men dance to her flute and the audience go crazy for her. 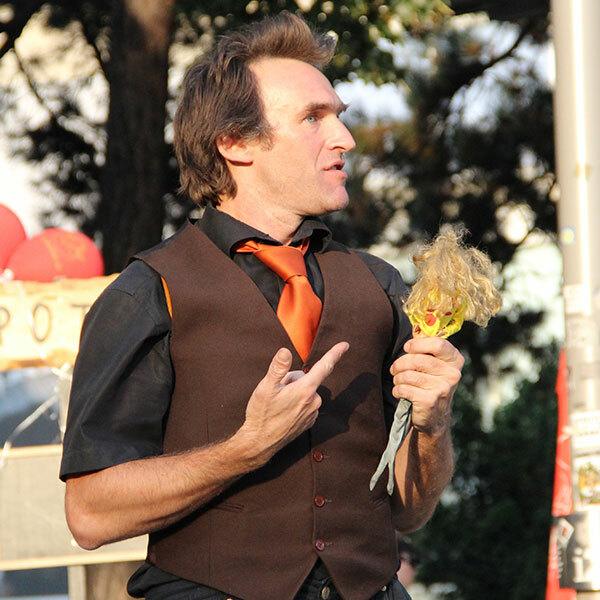 Ross Vegas combines the ancient art of circus, with human beat-box and vocal sound FX, to create a show unique worldwide. 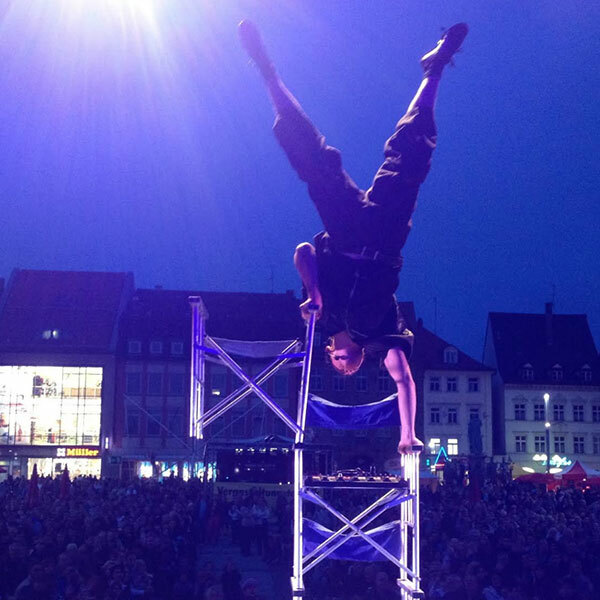 Acrobatics, illusion, fire juggling, physical comedy, rapping, and comic improvisation are performed to a soundtrack created live with just the human voice, culminating in a spectacular one-hand balance on a tower of folding chairs. 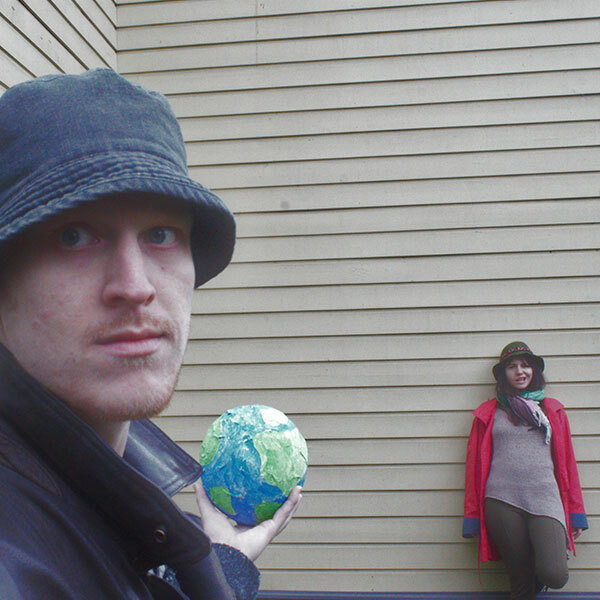 Ross has performed at major street theatre festivals across the globe for more than a decade, from the World Expo in Beijing, to the Street Performers World Championships in Dublin. The dancers from Burlesque Estonia will present ‘’Fairytales’’. This adults only show will feature, the beauty, the beast and other fantastic imaginary creatures. Let’ go back 100 years with this unique Walkact in a our now very digital world. The pictures taken by Fida and Fred, the world’s most stupid and chaotic photographers, can be taken home immediately! Supported by the Austrian Embassy in Tallinn for Eesti 100. This multi award winning show (The People vs. Ian Deadly) returns to the streets in a fizzling new format. The idea is simple, Ian Deadly meets the public and the results become the show. The show is built together scene by scene together with the audience using music, comedy, beautiful juggling and spontaneity. We start alone and end together as a many limbed comic circus octopus! Wild comedy improvisation, hula hoop and a dangerous sense of the ridiculous combine for a new explosive finale, specially developed for 2018. Royal Giraffe has been studying, promoting and specialising in the traditional act and ancient form of street theatre for over 25 years. The method is based on disciplines of street incorporating skills with a ritual folk dance foundation, clowning, improvisation and working with the energy of the crowd. 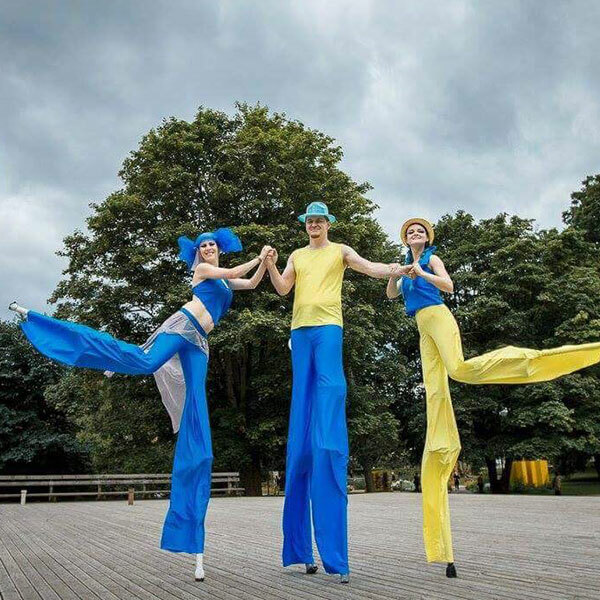 Royal Giraffe Theatre have presented its unique style at “The Best Street Theatres of the World” festival in Saint Petersburg. “Three Sisters” is a site-specific installation-production that talks about the great women of the Nordic countries. Of their tenderness, strength, convictions and fears. The mysteries unfold in reality and disappear between heaven and earth. There is no right or wrong, no good or bad, a woman is just flesh and bone in the veil of sisterly love. 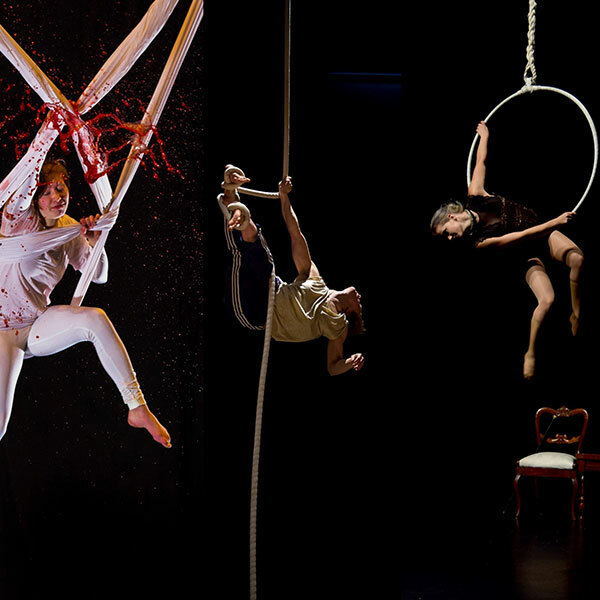 Featuring solo artist Noora Petronella Pasanen (FIN), in addition to Grete Gross (EST) and Lizeth Wolk (EST) who are professional circus artists from Big Wolf Company. 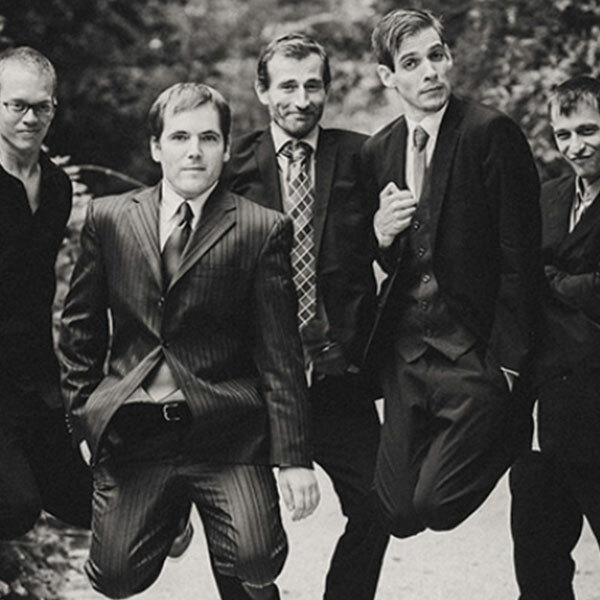 A Gypsy Jazz Swing Manouche quintet from Budapest. Their style is Influenced by Django Reinhardt and most definitely enjoyed live! 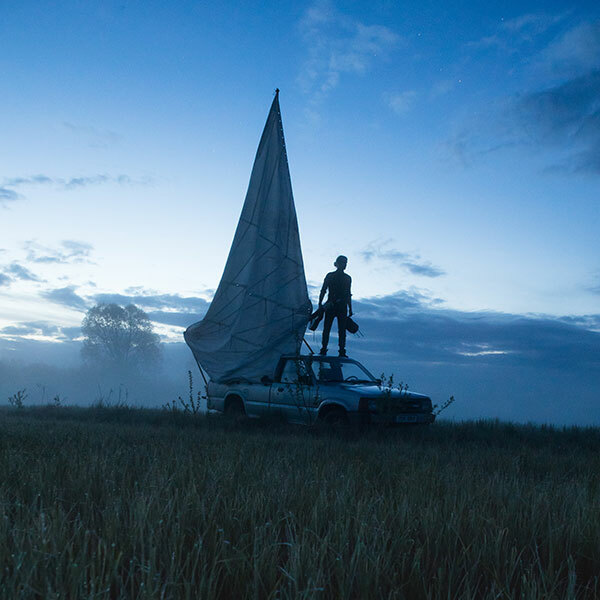 Silver will sail the streets with the ship of his inner world. 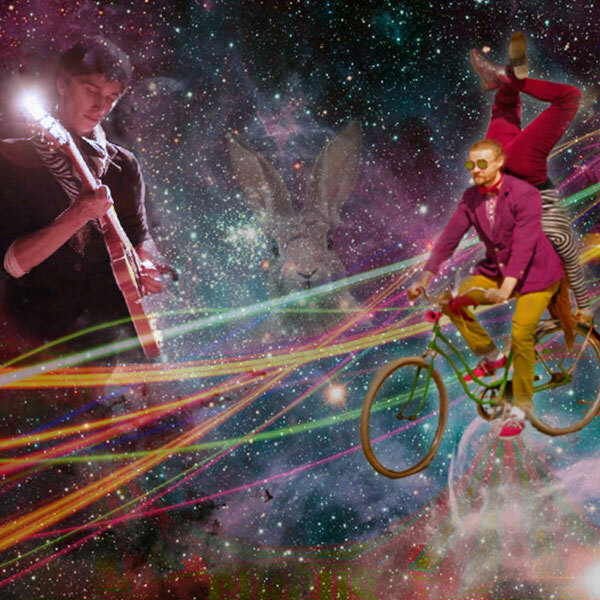 It is filled with loop pedals and musical instruments created directly from his imagination. He is a musician that sings his own songs and improvises in the moment. An unstoppable fantasist, even the lampposts will start to radiate with wild vibrations. Whole festival except 9th June! Her biggest passions are dancing, fire, costume designing and collaborating with other artists. She combined all of her passions in the Living Statues show. 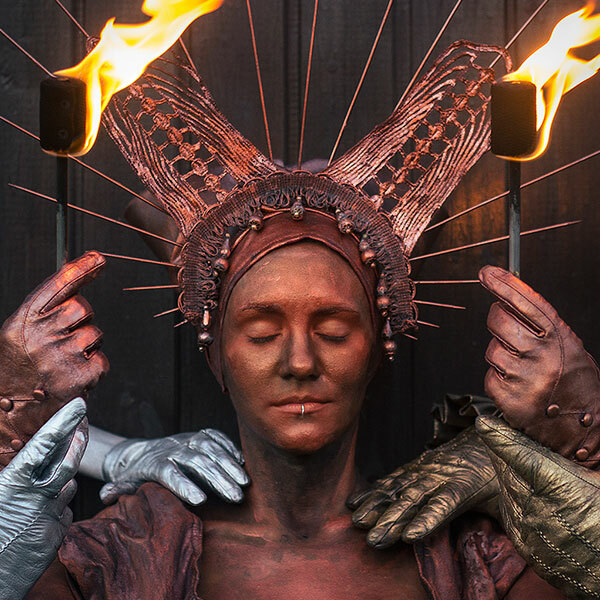 You can see the statues on the streets, and you shouldn’t be afraid to step closer and make a few pictures, but if you see fire we advise you to stand in a safe distance and enjoy the flames. 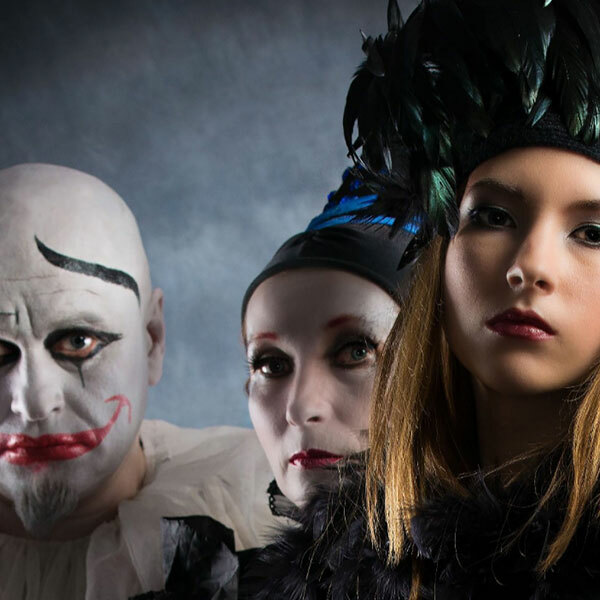 A Circus adventure for the whole family! What happens when two lonely characters from very different worlds meet? Do they get along or drive each other crazy? Who is this mysterious musicman who talks through his guitar? 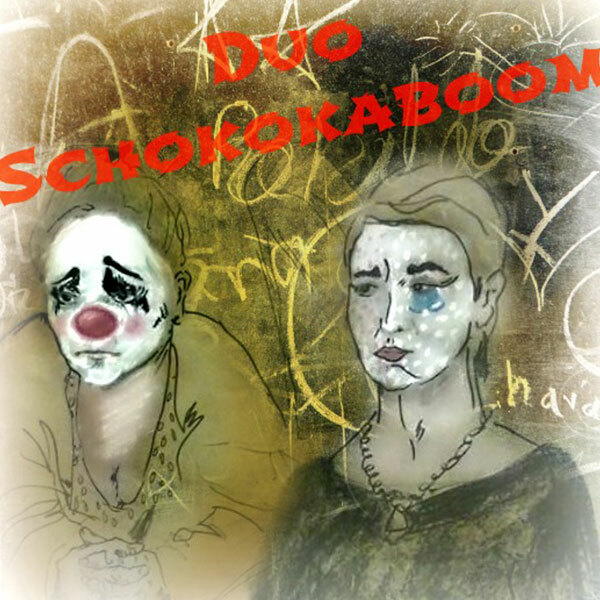 „Luidja Tsirkusetalu” and Duo Schokokaboom will zip in from Hiiumaa to bring their beautiful and engaging circus style direct to you! They give out autographs, and you can take the pictures with them for free (but only at TaDaa!). Make sure you check out the amazing minishow full of laughter, colours, and fun. We are looking ways to bring the street art out of the theatre and like-wise, bring theatre out the street art; combining theatre’s thirst for soul and spirit with street art’s expressiveness, active openness and connecting with the audience. Shaping our work with the divine spontanity, momentum of risk and intellectual analysis; intertwining imagination with knowledge, tracking darker borders of language and heading toward communicative clarity. Naturally we intend to inspire and captivate but also provoke and enlighten, or even relieve.